By the 1920s, Wallace Nutting was both a household name and a trademarked brand. He understood America's early consumer culture and the combined power of photography, writing, and personal promotion. He sold photographs, hand-tinted platinum prints of early colonial life, and exact reproductions of colonial furniture and ironwork through catalogs, traveling salesmen, and department stores. He promoted them by writing books, giving speeches, and hiring a Madison Avenue advertising agency. Although not born into wealth, Nutting (1861-1941) was descended from early Plymouth Colony settlers. His father died in the Civil War, so he grew up with his mother and his uncles in Maine. He attended Phillips Exeter Academy, Harvard College, and both the Hartford and Union Theological Seminaries. He served as a Congregational minister in Seattle, Minneapolis, Newark, and Providence for several years. In 1904, he had a nervous breakdown and left the ministry. His doctors prescribed photography as therapy, and that began Nutting's great commercial future. He toured New England, photographing pastoral landscapes and domestic "colonial interiors", and he carefully began copyrighting over 800 photos with the Library of Congress. In 1905, he moved to Southbury, CT and hired a staff of women to hand-color his prints of idyllic landscapes and colonial style rooms. His interiors show young women dressed in colonial style outfits, often sewn by his wife Mariet, and doing domestic chores. Nutting sold more than 5,000,000 of these hand-tinted prints and making over $1000 per day. By 1915, he had a catalog of 1000 images for sale out of a total of 50,000 negatives. 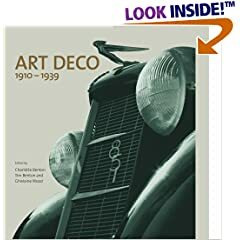 In 1912, he moved to a larger house in Framingham, MA and began buying historic structures to use as settings for his photographs, restoring them and decorating them with period furnishings. Eventually he opened them to tourists and called them the Wallace Nutting Chain of Colonial Picture Houses. He began collecting American antiques for the homes and bought pieces from the 17th century including a carved 1685 Sunflower chest in oak, pine, and maple which he found in Wethersfield, CT. He also bought 18th century pieces and amassed a huge collection of chests of drawers, Windsor chairs, cupboards, boxes, bookcases, cabinets, and more. In addition, he purchased over 600 period domestic utensils made of wood, pewter, and wrought iron. 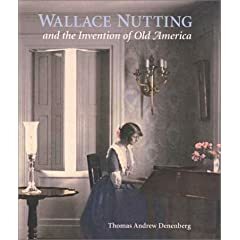 In 1928, Nutting wrote the book "Furniture Treasury" illustrated with pictures of his own collection as well as other's, the first widely circulated reference book on American antiques. 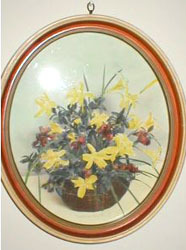 In 1917, Wallace Nutting opened a furniture factory in Saugus, MA to make reproductions of his antiques collection. 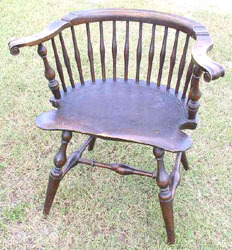 He started with Windsor chairs and sold them by the thousands, expensive even in their day. In 1925, he sold his collection of American antiques for $200,000 to J. P. Morgan Jr., who donated it to his hometown museum Wadsworth Atheneum in Hartford, CT. Nutting's business faltered during the Depression, and by 1932 the market for reproductions had plummeted. He donated his furniture, tools, and plans to Berea College in Kentucky upon his wife's death in 1945. Buy period American antiques on the Collectics Fine Antiques pages, or search the entire site for great antiques, collectibles, and crafts for every collector!